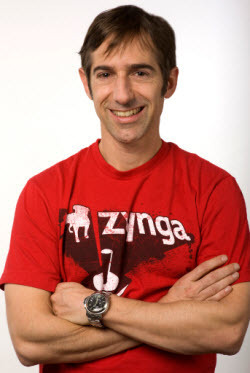 This is a continuation of my "Lessons Learned" interview with Mark Pincus, founder of Zynga, the largest social gaming company and publisher of the popular Texas Hold'Empoker game on social networks. Prior to Zynga, Pincus founded Tribe, a social network, back in 2003. Its technology was sold to Cisco Systems in 2007. In this interview, Pincus talks about why he considers Tribe a failure and the lessons learned he brought over to Zynga. Here's an edited version of the interview. MP: I would consider Tribe a failure from an investor standpoint. So, lessons learned from Tribe - No. 1, especially if you’re going after consumer Internet, pick the macro and test continually to get the metrics that work. One lesson was that we didn’t test enough to get to virality. The problem we had with Tribe was that the lack of virality was masked by a huge word of mouth. Our traffic did grow, but it grew at a straight line and not asymptotic. It didn’t grow exponentially. It grew straight line. It can fool you for a while. Early success can mask a lot of flaws in your strategy. Sometimes it’s an embarrassment of riches. Sometimes in social networking, anything can get a lot of users. We mistook great community for great social virality. We didn’t have social virality. People weren’t connecting with their real friends. They were coming online to find a new community. The biggest lesson in social networking is that there is an unbelievable opportunity to let people network with their real friends and worlds, and that is much more powerful than letting them network with people they don’t know at all. BF: Enabling people to meet new people is more like a dating site. MP: Yes. And, what’s the retention of the users on a dating site? BF: Along those lines, when Facebook became more about enabling you to connect with your past, that’s when it became even more powerful. MP: The thread on Facebook was that they were successful in connecting you with your real friends. And, at Tribe we took down all the membranes and let anyone network with anybody. We saw ourselves as a local classifieds site that happened to have community as a traffic driver. The big lesson was that we didn’t fail fast. We didn’t test the conversion of traffic to the classifieds opportunity because we thought we needed a big local critical mass before that would happen. But we didn’t have clarity around when you decide when you’re successful or not, so we kept it going. BF: Share two lessons you've brought over to Zynga, based on your experience at Tribe. MP: No. 1 is we’re much more metric driven than I was at Tribe. We have a lot of micro metrics. We do tons of AB testing and we’re clear about our leading indicators. We’re much more disciplined about failing fast on many fronts. We try to build new game approaches all the time, but we kill them fast if they don’t meet our success metrics. MP: I treated both [Tribe and Zynga] as a project. But I got to the point that the business model worked [at Zynga] before I went all in. And on Tribe, I didn’t.